Some photographers, collectors mainly, refuse to use their cameras in the real world in case the instrument suffers a mark or sustains a fall, rendering it less than perfect. I remember reading about one photographer - not a collector - who loved his Leica M6 so much that he would never take it on holiday with him and struggled to even give it an airing outdoors. 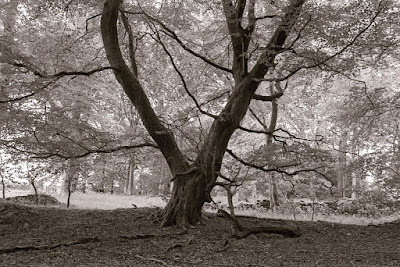 It's easy to have a chuckle at that sort of behaviour as a camera is there to be used and damage, slight or otherwise, is one of the risks we take when subjecting what is after all a tool to the rigours of the countryside or street. Imagine a joiner leaving his favourite plane in a display cabinet. And yet, although I don't have the camera version of this disorder, I do, sadly, have the old car variant. When it comes to cameras, I've always treated my equipment with great respect, taking good care of it and making sure never to drop a camera or lens (still haven't, touch wood) or bash it about with reckless abandon as I've seen some photographers doing. My old Saab 900 (above) is a different matter, though. I've been treating "Magnus" a bit like a camera collector treats his mint, black-painted M3. I've had it two-and-a-half years and in all that time I've done fewer than 4,000 miles in it. Saabs were well-made cars but they're not indestructible and I'm wary of the effect our salt-laden roads will have on the vulnerable bodywork in the depths of winter. I've restricted it to occasional summer outings on good days, limiting the car's exposure to rain. Every fortnight I empty the best part of a can of WD40 on the wheelarches and the inside bottoms of the doors, both particularly good areas at cultivating large quantities of rust if not given regular attention. The underside of the bonnet gets similar treatment and any other suspect areas are slathered in water dispersing grease. It was a surprise to say the least and means that a little welding will need to be done to the affected area. It's not a huge problem but I'd always liked the idea that the car had remained unmolested by any welder since it left the Saab factory. 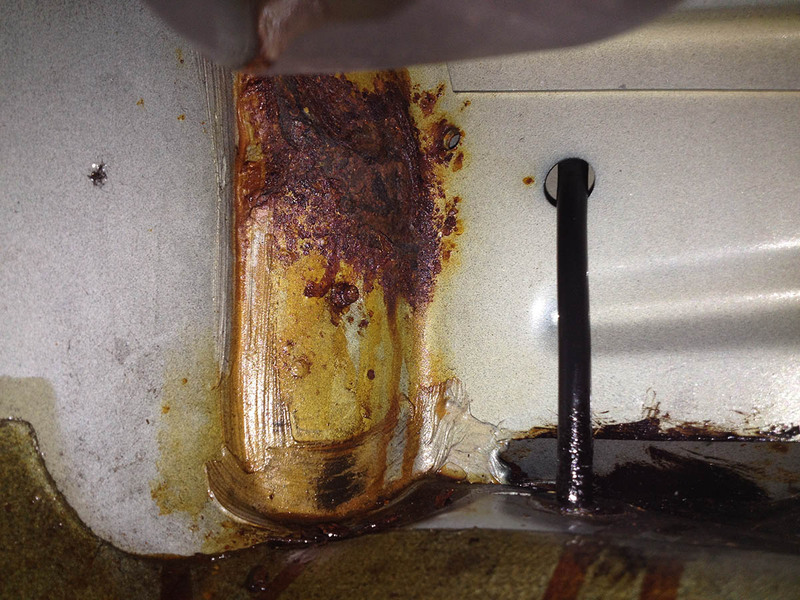 It was undersealed from new and there is no sign of the rusty patch from the outside of the car. Obviously, though, water has been finding its way into that remote corner, probably through a pin hole or two in the underseal, and has been able to work away undisturbed and out of reach of my can of WD40. The discovery got me thinking about the use I was making of Magnus. 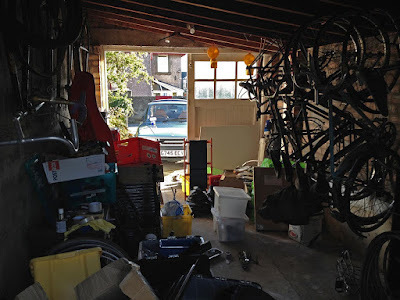 But instead of becoming overly protective and locking the car away in the garage for even longer periods, I decided to get it out on the road more often instead. The thing is, I love the Saab 900. I drove hundreds of cars when I wrote a weekly motoring column for my paper but it was always the robust and dependable Swede that I liked the most. 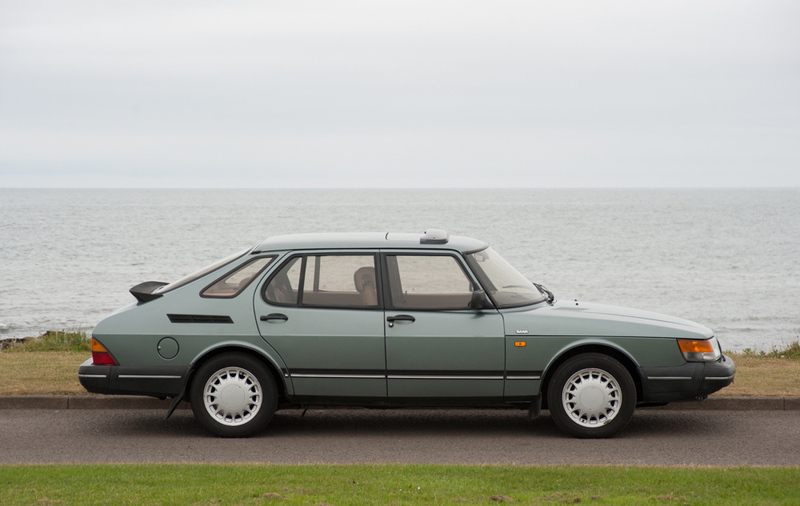 Plenty of other cars were "better" than the Saab but none had its character or quirkiness. I suppose it was a bit like me - solid, reliable, not flashy but, in Turbo guise, with a distinctly sporty nature. Haha. It just fitted me like a glove. It was also good to discover that several surveys in the 1970s and 1980s found that Saab drivers were rated the best, nicest and most considerate on the road. How could I take issue with those findings? So my mint, black M3, so to speak, is going to have its protective wrapping removed, the doors of its display cabinet left open and lots of time spent in my company. I'll still try my best not to drop it or bang the rangefinder off a door but it will have to take its chances from now on. I'm 56 and the Saab, properly maintained will see my boots off. The key is regular preventative maintenance. 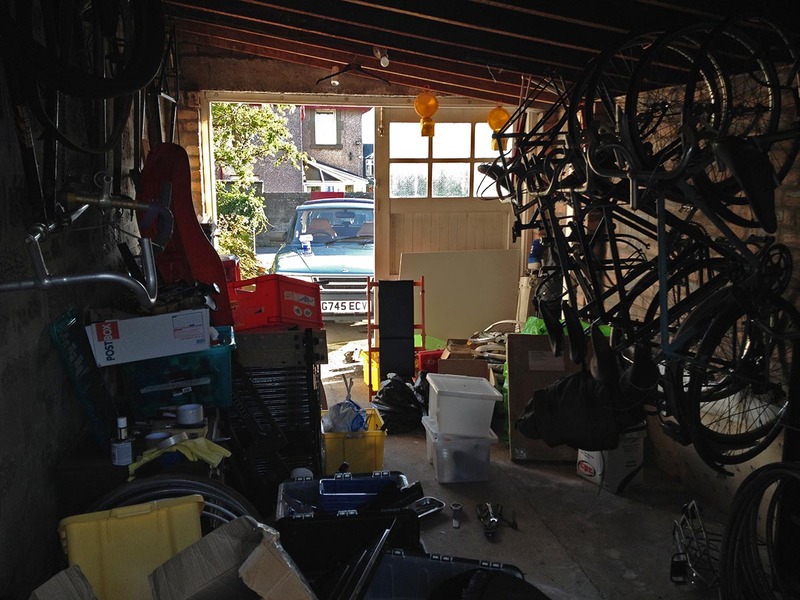 Yes, had it continued its cossetted life in the garage it might have been in better condition when we finally went our separate ways but all that would have meant was that my two sons would have inherited a splendid vehicle for which they had no real interest. Much better, I think, that the one who really appreciates the Saab 900 gets to use it on an almost daily basis - even it that means, in time, almost wearing it out. I was helped in reaching this conclusion by a local chap who I see out regularly in his late 1960s Old-English White Morris Minor Traveller. The car's not perfect by any manner of means but he obviously loves his Moggie and wants to drive it every day. So he does. That's how I feel about the Saab and it's why the car will now become a more common sight on Dundee roads. Phosphoric Acid works well on rust. But I'm sure the Euro Zone has banned it. If you do use it: mask (good one) and double or triple gloves. The beauty of PA is it doesn't eat metal. We also had a produce here that I can't remember the name but it was like paint and it eat rust and gave a protective coating. I haven't seen it for years so it is probably banned too. Kurust is a fab product - turns metal black and really works well. As for using the car, well having spent the past 11 years driving a Honda Jazz (Fit) with a damp boot (unfindable by a couple of garages - but a known problem on Mk I's) and only having it taken from us by age and a catastrophic coolant leak (goodness knows how long we'd been going about without any!) then i commend your decision! I always dreamed of owning a Saab in any iteration from the old rocket sleds through to yours, but have happily settled into being a Honda driver. You're doing the right thing though - get enjoyment whilst you can. I know a chap with well over 100 cameras, for instance all versions of the Leica R . . and they sit in a cabinet, which looks totally fantastic, but every time I;ve seen it, I have been ITCHING to get them out, get some film in them and get rolling! Cameras need to be used, even dry firing - it's a regime I use - all speeds, all cameras at least once a month - if you have MF cameras an old backing paper through (yes I know it messes with the auto-sensing on Rolleis, but . . . ). Much like you beloved Saab - made to be used and enjoyed, not locked away. Looking forward to seeing it on the road! Excellent idea to use it. By the time you pop off, some time after 2060, your sons will be in self-driving electric vehicles with ultra high-speed broadband to connect the iVRphone (or whatever). Their own children will probably wonder what that round thing obstructing one of the front seats is for. Unless Trump gets a second term. Learn flint-knapping. Watch Mad Max.